Detailed drawing of church interior (?) 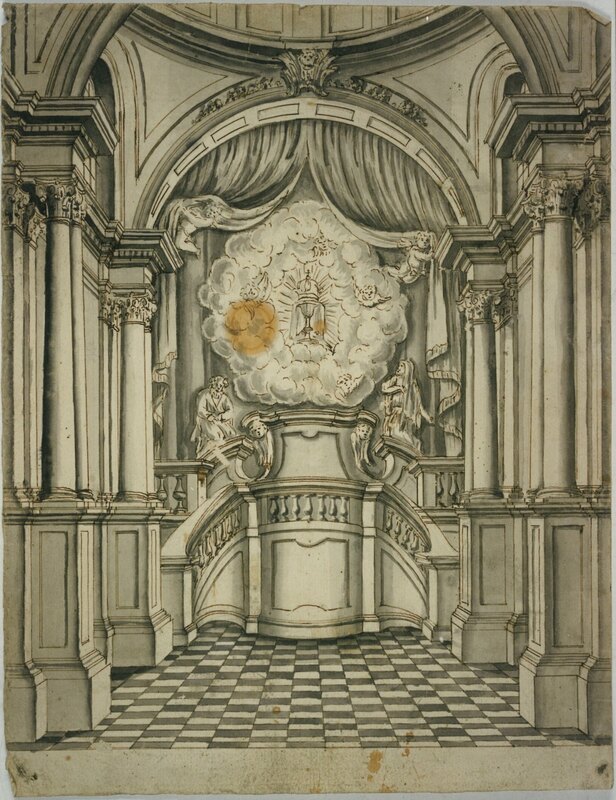 with a dome and with a raised area against the background, leading up to which on the left and right is a staircase; above this in the centre is a drawing of a cloud, in which there is a shining chalice with a crown; on the left kneels a male figure and on the right, a woman. Above the whole, two putti are holding up a drape. 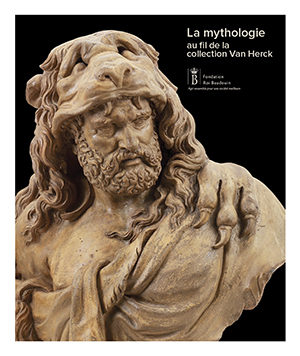 This publication presents the collection from a new angle, notably that of the interest shown in classical antiquity, its heroes and gods during the 17th and 18th centuries.